A classic ensemble made with a paisley design in vintage antique colors such as black, gold, bronze and a touch of crimson combined together. Enjoy daybed cover sets in various styles and colors. Unique designs and classic solid colors are available. Browse our categories to find the daybed cover set that fits your needs! The daybed pillow shams will require you to provide 3 standard pillows to fill. The daybed pillow shams are the larger pillows shown at the rear of the daybed. All items fit standard twin size mattresses. The comforter is deep quilted with tack and jump style detailing with 16 ounces of hand packed bonded fiberfill. The tailored shams are a self-backed, envelope style closure. 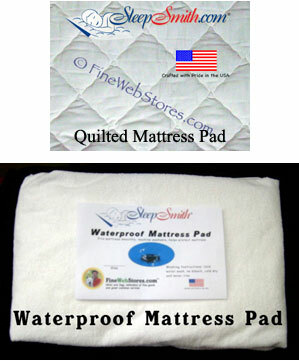 Use the drop down menu to select the mattress pad you would like to add to your order. 95% of our orders ship within 10-15 business days to ship plus up to a week for transit. 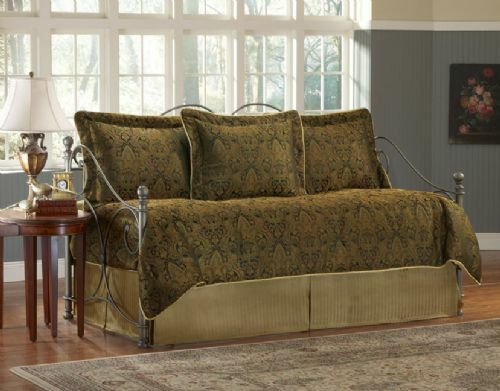 The Manchester Daybed Cover Set is a complete ensemble that includes a comforter, a bedskirt, and three pillow shams.